Argon i.MX 6UL Development Platform offers a complete platform with large number of ready to use sensors (Gyro + Accelerometer + Compass) and available I/O's gives our customers' cutting edge over technology. Development board has 3 Hirose 60 pin connector which mates with SOM Card connectors. Baseboard has interfaces like Ethernet phy, USB Host & OTG, UART, I2C, Audio Jack, etc. 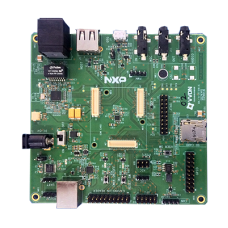 Argon i.MX6UL SOM Board is a very compact, micro sized, high performance board which is highly optim..